Over the past couple of decades, categorizations like “military history” have undergone numerous permutations. Georgia State’s John Southard ruminated on the state of the field for ToM in 2012 and ToM devotes an entire page to the subject. (There’s even something for the Civil War buffs. ToM has even posted some original research in the area of the military and postwar suburbanization.) Historians like Roger Lotchin, Ann Markusen, Carol Lynn McKibben, and Andrew Myers have offered new insights into the ways military installations in the South and California have interacted politically, economically, and socially with local cities, towns, and suburbs in which they are located or abut. The military’s transformation into an all volunteer force in 1973 also enjoyed new attention in 2009, when Beth Bailey provided a social history of the “new military” in her excellent, America’s Army: Making the All Volunteer Force. This is to say nothing of the formidable contributions to the theme of War and Society that historians like Michael Sherry (In the Shadow of War: The United States since the 1930s) have contributed. Social scientists have been in the mix for sometime but new works in the late 1990s and the 2000s continued to explore the topic. Anthropologists like Catherine Lutz, and sociologists such as Charles Moskos and John S. Butler have examined the military from various vantage points. Lutz focuses on Fort Bragg’s on Fayetteville, NC, while the two sociologists examined the military’s success at integration and its methods for resolving racial disparities internally. Perhaps most recently, urban planner Sarah Jo Peterson published Planning the Home Front, which examines the process that created the Willow Run Bomber plant and the dizzying effects that cascaded over metropolitan Detroit, during and after, WWII mobilization. Likewise, Kari A. Frederickson just released Cold War Dixie: Militarization and Modernization in American South which promises to add significantly to our knowledge of Southern locales and their interaction with the military. All this is to say, we here at ToM eagerly attended panels on this “new military history,” even if some panelists might shy away from such designations. For coverage of other conferences like UHA 2010/2012, AHA 2012, and others – click here. In the 1970s, talk of unionization among military service personnel ran rampant. While most probably opposed the idea, there were those that advocated for a military union that might defend shrinking benefits. Though he openly opposed such ideas, even Republican Congressional representative G. William Whitehurst (Hampton Roads, VA) conducted surveys to gauge public interest in the idea. Why had the idea of unionization gained credence among a sizable minority of the enlisted ranks? The decline of benefits and the continued threat to those that remained provided two reasons for such radicalism. The newly established American Legion viewed veteran’s health benefits as a key issue upon which to build its identity. Having only come into existence in 1919, the American Legion hoped to become the institution most identified with veterans. Politically, though the American Legion pushed for universal access for veterans to all public hospitals, it expressed full-throated opposition to socialism. Of course, this demonstrated the sensitivity of such issues, as opponents claimed solutions like those proposed by the American Legion amounted to socialism. The Legion consolidated its politics and its place among veterans by continuing to promote full benefits for vets while rabidly supporting government persecution of political radicals. It helped that such a stance undermined more liberal organizations representing veterans, thereby further improving the standing of the Legion. 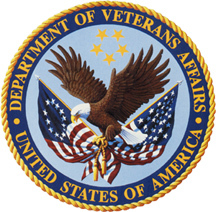 As noted by commentator Professor Jennifer Mittelstadt (Rutgers University – New Brunswick, Mittelstadt will also soon be releasing a book on the creation of the AVF and broader debates regarding social welfare in America), benefits accorded to veterans and service personnel seemed to always be constructed through “wobbly” processes that have been often based more on fears regarding the creation of dependencies rather than truly addressing the problems at hand. Here Adler goes some distance to demonstrate that reality. Military planners and government officials appear more preoccupied with the potential of political radicalism than truly caring for veterans. Granted, some of this emphasis relates to Adler’s focus, yet, as Mittelstadt also noted, the Tufts historian forces us to ask just what military service means and how much have we constructed its benefits from fear. Just before the 2004 election, as the alt-rock/alt-country Wilco closed its set at New York City’s Radio Music Hall, frontman Jeff Tweedy, leaned into the microphone and told the crowd not to be “ruled by fear” and then kicked into “Shouldn’t Be Ashamed” off its underrated first album A.M. “Like a man on the sidewalk remembering your face/Shouldn’t look away, shouldn’t be afraid,” sang Tweedy. “He remembers when they still wore gaiters, World War One/Shouldn’t be afraid, shouldn’t be ashamed.” The message clearly being that the sitting administration had operated and viewed events through a prism of fear. Fear stands at the heart of Whittier College’s Laura McEnaney’s paper, which examined how reservations regarding the expansion of the state during and after WWII in relation to Japanese American internees and American veterans played a central role in shaping future welfare programs. However, the fear that created the camps, racist logic that equated Japanese Americans with fifth columns and treason, is not the collective misgiving at the heart of McEnaney’s research. Instead, the creation of dependencies kept officials awake at night. To be honest, McEnaney presented arguably one of the most provocative talks that this writer attended at this year’s conference. 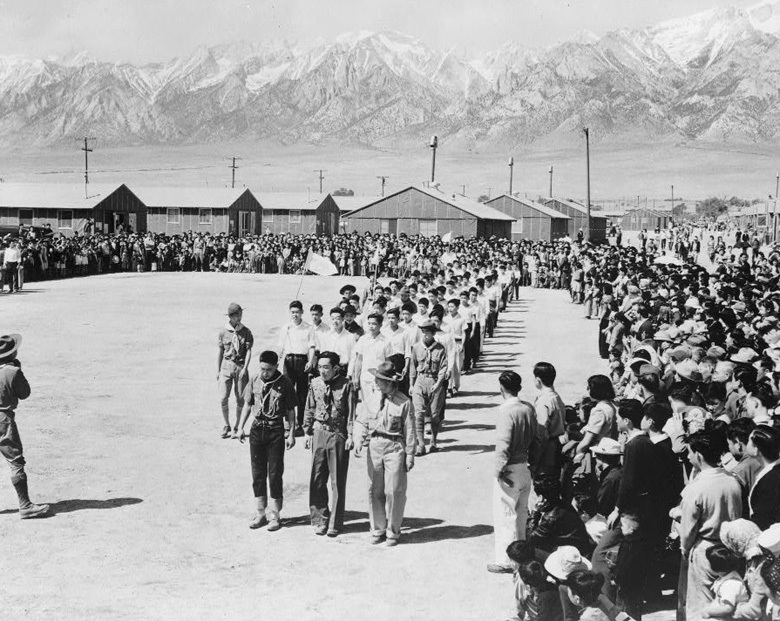 The tragedy of Japanese American internment during the war seems doubly so when one listens to government officials express concern that WRA camps, rather than being a violation of human rights, might instead create dependent populations. Modeled on the New Deal CCC, internment administrators hoped to squash criticisms that the concentration camps might “coddle” internees. Officials made sure meals served to Nisei and Issei inmates did not exceed those of the local civilian population. Yet, the Whittier College professor importantly notes that the camps, for all their evil, did represent one of the first times the American government had to establish social welfare programs for a population that ranged from infants to the elderly. One year into internment, WRA officials established a work leave program that led to 80,000 internees escaping camp life. The “optics of idleness”, the idea that camps pampered internees, encouraged camp administrators to put prisoners to work. John Howard’s Concentration Camps on the Home Front explores how this dedication to fighting idleness reshaped internee, lives altering gender and power relations within families. When internment ended officials had one year to clear the concentration camps; thus, they had to determine how to reintegrate a carcerally dependent population back into American life and ideally before G.I.’s returned. Internees had their own ideas about how their reintegration would unfold. Many left their parents in the camps while finding work and resettling in places like Chicago. If the U.S. government deprived them of property and rights during WWII, it could it least take care of the older generation while younger Japanese Americans found new homes and employment with which to support their parents and children. If you are white and male, then yes. The returning soldiers also created fear. One need only to look at Paul Thomas Anderson’s The Master and the character of Freddy Quell to guess at the kind of returning damaged soldiers US officials believed might sow discord in postwar America. The dislocations of war, disruption of families and family life, and juvenile delinquency, among numerous other issues pressing upon the national brow, caused great concern. Paraphrasing Kathleen Frydl, McEnaney noted the 1944 G.I. Bill was an act “borne of fear,” that says more about the philosophy of government functions than anything else. With the New Deal welfare state of the 1930s and expansion of warfare state with WWII, Americans got both the Social Security card and the draft card. In this way, the state extended benefits (Social Security) but also regulation (the draft). The war helped to reshape expectations of government. In the end, veterans received abundance, but abundance shrouded in decentralization and confusion. The passage of the 1944 act sparked larger debates regarding the role of the state in social welfare. 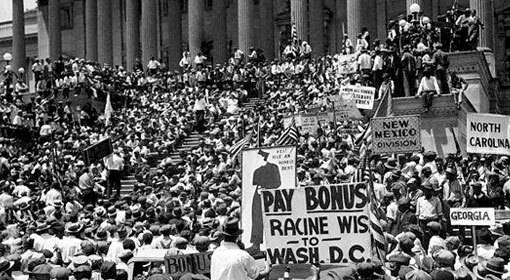 In essence, the movement to pass the bill amounted to the “first male centered welfare rights movement,” promoted prominently by women. Once unleashed, Congress spent the next couple of decades figuring out how to control and contain it. More conservative members feared that benefits allotted to veterans might one day be extended to regular citizens. For Japanese American veterans, the two policies intersected in the most painful of ways. These veterans found themselves subject to the same government that had robbed them of civil rights. The road back to American life rested with the same state that had so easily removed them from it. For Japanese American internees, internment rendered them stateless, but they remained under the thumb of the same government that had accorded them criminal status. Few moments in American history so clearly capture the intersection of the penal and welfare state. Through veterans and Japanese Americans, argues McEnaney, WWII created new dependencies that would have to be worked out in subsequent decades. In the age of supply side economics and individualism, dependencies struck fear into the hearts of many. “Many of your readers have written in to point out that half of the ‘dependents’ now entitled to free care at taxpayer expense are freeloaders and spongers,” wrote Virginia Beach resident Ann Clement to the Virginian Pilot newspaper in January of 1986. “Mostly, these spongers are wives who never served day – wives taken on after the military members have closed out their military careers – and children of these post retirement wives who are usually receiving court ordered support from their natural fathers.” Clement’s frustration pinpointed several areas of concern for the all volunteer army. 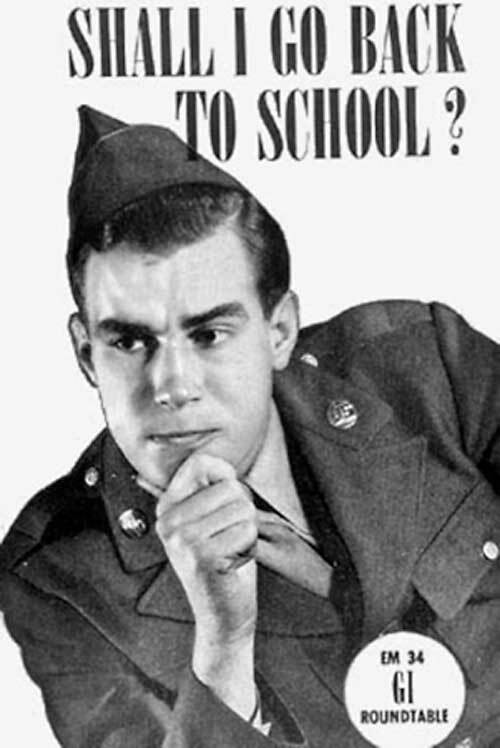 With the armed services expansion of dependents due to the need for a Cold War standing army in the 1950s and an explosion in families attached to personnel in the wake of the conversion to the AVF, the distribution of service benefits like the status of dependents became a new battleground. In the wake of New Right economics in which dependency amplified inequality and citizenship, veteran and service benefits took center stage. While Clement couched her critique of military wives by targeting those who married after their spouse served deserved public ire, she nonetheless cast doubt on the whole enterprise. After all, though designed under the watchful eye of economic conservatives like Milton Friedman, the AVF’s system of benefits remained anathema to many right wing economists like the aforementioned Friedman. Columbia PhD candidate Suzanne Kahn wades into the muddy waters of veteran’s benefits by examining how regulations for military divorce, notably ex-wives’ legal right to benefits, intersected with feminism and broader divorce reform of the day. Critically, divorce regulations rested ultimately on the projection of wives as helpless dependents rather than equal contributors to military spouses. While this argument enhanced the economic rights of military wives, it failed to contribute to more expansive divorce reform among civilian women. As Kahn notes, the fulcrum upon which divorce laws swayed was the 1976 McCarty case in which U.S. Army Colonel Richard McCarty sued for divorce from his wife of nearly 20 years and rejected the common property laws of California which demanded his benefits be divided equally with his wife. In community property states, assets would be divided equally, but benefits did not count as assets. In equitable distribution states, rather than split assets down the middle as is the case in community property cases, a judge intervenes to determine the division of property, but again, benefits were not included. So when a 1981 Supreme Court ruling upheld McCarty’s objection, military wives and women’s groups mobilized to establish legal protections. Importantly, Kahn points out the unique ways in which military families accumulate wealth. Often a military households’ well-being lay not in the amount of property owned but instead benefits accrued – health care access and commissary rights. As divorce rates grew, states passed laws that facilitated the process but failed to address the division of employer pensions, social security entitlements, and academic degrees conferred by service. For wives military service unfairly burdened their standing. Frequent moves meant that few wives could build up seniority at their jobs, build social security pensions or accumulate their own set of work related benefits. Moreover, many employers avoided hiring military spouses due to the transiency of the population. Even if wives did secure employment, military officials expected them to contribute to institutional efforts. Wives’ efforts could and in many cases did impact their husband’s professional standing, so balancing employment, motherhood, and the military proved no small feat. The failure of divorce laws to account for this discrepancy led to new political movements among wives that initially drew support from organizations like NOW and the National Military Wives Association (NMWA). In 1977, military wives organized to form Ex-Partners of Servicemen for Equality (EXPOSE), but according to Colorado Springs President Mary Lechman EXPOSE didn’t really cohere nationally until 1979. Armed Services leaders didn’t help their cause when in 1980 they testified to Congress that “[m]any (military) wives contribute little or nothing to a husband’s career.” At the same time that EXPOSE coalesced into a national presence, Congressional representative Patricia Schroeder (D-CO) proposed legislation to address the discrepancy. Schroeder based a system of pensions for wives on a formula regarding length of marriage and length of service. Under Schroeder’s formula, military marriages operated as economic partnerships with wives contributing to their husbands’ careers. The military brass opposed Schroeder’s legislation but with pressure from GOP and Democratic leaders bowed to pressure, passing new regulations as part of the 1983 Defense Reauthorization Bill in September 1982. The new regulations reversed the McCarty ruling, enabling state courts to award benefits to ex spouses, but it wholly rejected the idea of military marriages as economic partnerships. Rather the law focused on a wife’s dependence upon her husband. If twenty years of marriage coincided with 20 years of military service, then wives received access to health care and commissaries, but once remarried lost those benefits. Under this rubric, wives continued to be dependents rather than contributors; benefits only flowed to them as long as they remained vulnerable single women and mothers. Over the years attempts to reform the law have only succeeded in lowering number of active duty years required for benefits. Debates continued into the 1990s, but in the eyes of military leaders, wives remained dependents rather than contributors. Though the regulations improved the economic standing of divorced wives, it failed to help divorced women more generally as they could make no such dependency claims. In fact, concludes Kahn, though the movement enjoyed the support of women’s rights groups, the means by which benefits were won actually made it harder for women to make claims on the state. Ann Clement, “Purge Military Medicine of Freeloaders”, Virginian Pilot, January 3, 1986. Mary Lechman, “Group Leading Effort to Divide Military Pensions in Divorces”, No date. G. William Whitehurst Papers, Committee Meeting Files, Folder HR 4902 Military Spouse Background, Washington and Lee University, Washington and Lee University Library Special Collections, Lexington, VA.
 “Why Military Wives Want Equitable Benefits”, Government Executive, March/April 1982, pgs. 40-41. G. William Whitehurst Papers, Committee Meeting Files, Folder HR 4702, Washington and Lee University, Washington and Lee University Library Special Collections, Lexington, VA.